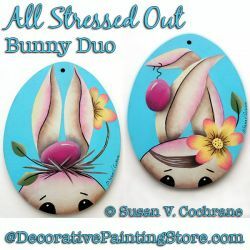 Bunny girl with butterfly and daisies in acrylics. 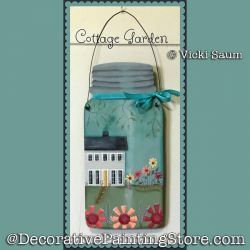 White cottage and flower garden. 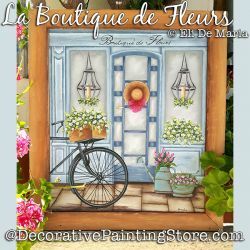 Flower shop and bicycle scene. 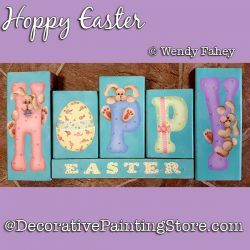 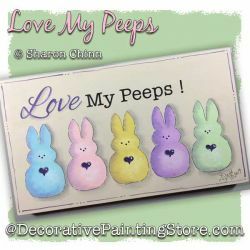 Wooden blocks painted with bunny rabbits and lettering to spell out Hoppy Easter. 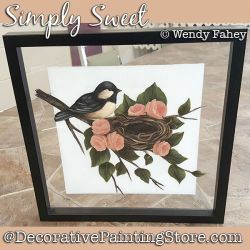 Chickadee nesting in a rose bush painted on glass. 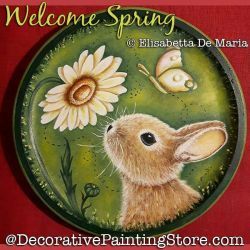 Bunny with flower, bees, and butterfly. 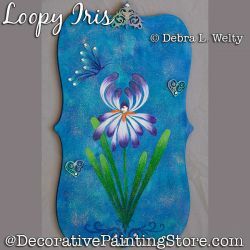 Iris and butterfly painted in comma strokes on variegated background. 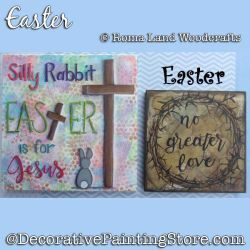 2 Easter projects in one pattern - No Greater Love and Crosses. 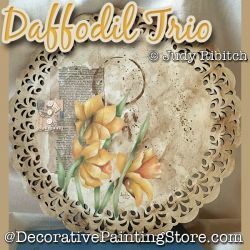 Bunny cutout painted with yellow daffodils. 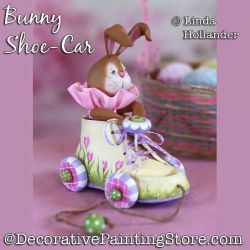 Pink tractor pulling cart of bunny, Easter eggs, and carrots. 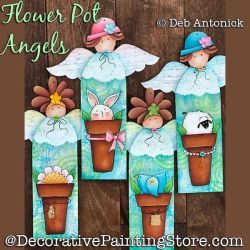 Angel ornaments with flowerpots filled with bunny, flower, sheep, bird. 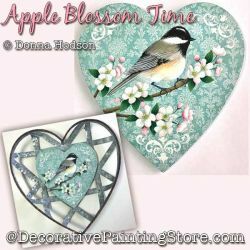 Chickadee perched on apple blossom branch. 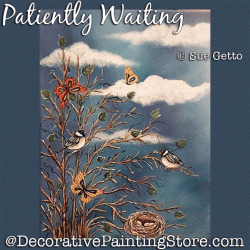 Sheep (lamb) in frilly dress surrounded by berries, bugs, and a bird. 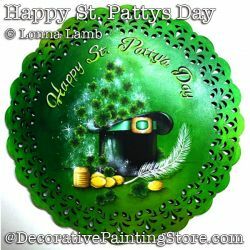 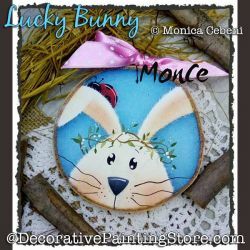 Easter eggs painted on flat round disks. 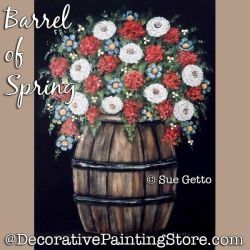 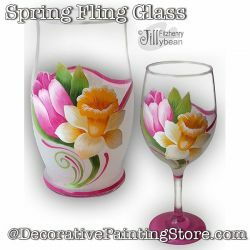 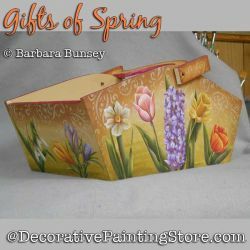 Spring flowers on wooden basket... tulip, daffodil, hyacinth, snowdrop, crocus. 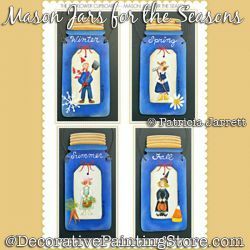 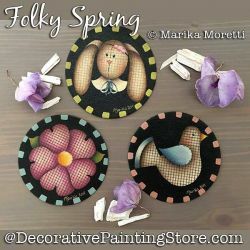 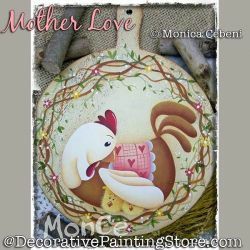 Bunny, flower, and bird on ornaments or coasters. 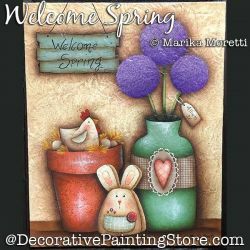 Still life of terra cotta clay pot filled with chicken and eggs, a wooden bunny, vase of purple allium flowers, and welcome spring sign. 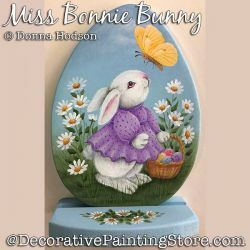 Bunny painted on large paper mache egg attached to wood pedestal. 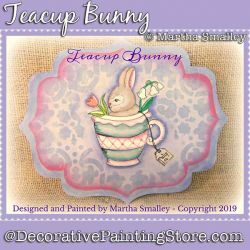 Bunny sitting in teacup with flowers. 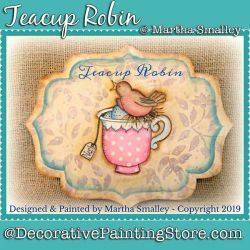 Robin and eggs in teacup. 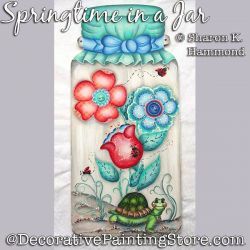 Flower and turtle in mason jar. 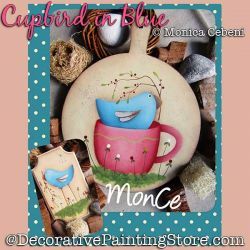 Prim house scene painted on heart on a birdhouse cutout. 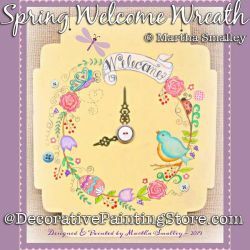 Faux clock with wreath of spring flowers, bird, dragonfly, lady bug. 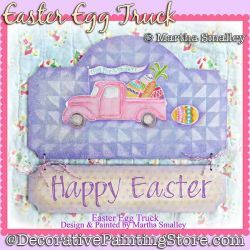 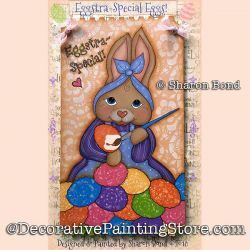 Plaque with pink pickup truck filled with Easter eggs and carrot. 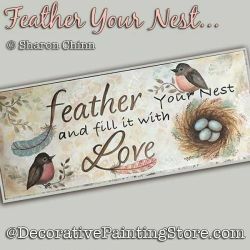 Robins and bird nest sign. 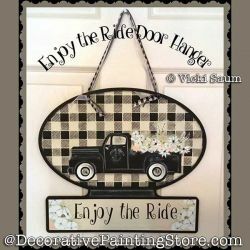 Black pickup truck filled with flowers. 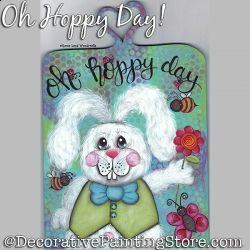 Bunny holding daffodil and butterflies. 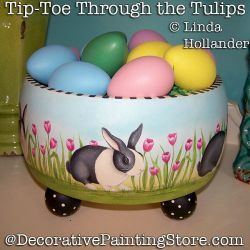 Bunny in a watering can. 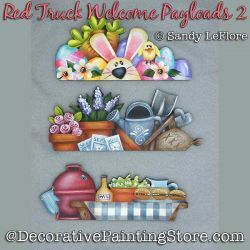 Bunny with wheelbarrow full of vegetables. 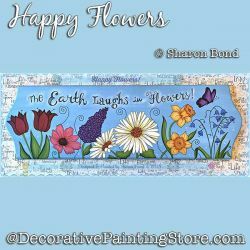 Row of spring flowers and butterfly. 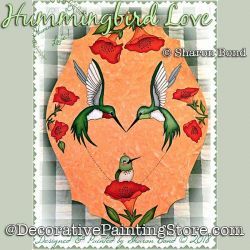 Family of hummingbirds surrounded by red flowers. 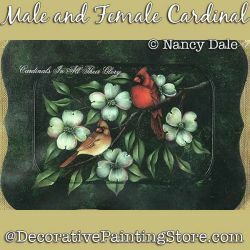 Male and female Cardinals sitting on dogwood branch. 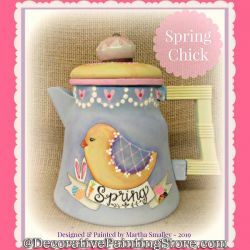 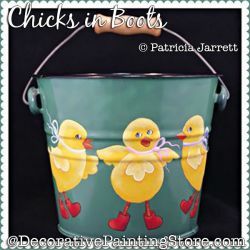 Baby chick painted on vintage coffeepot. 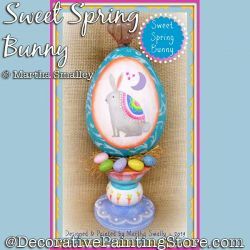 Bunny rabbits, eggs, and spring flowers. 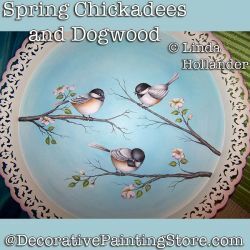 Chickadees perched on branches of dogwood blossoms. 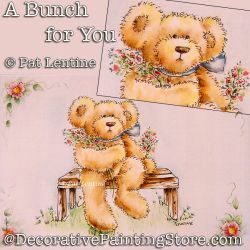 Teddy bear sitting on wooden bench holding bouquet of flowers. 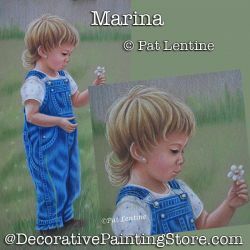 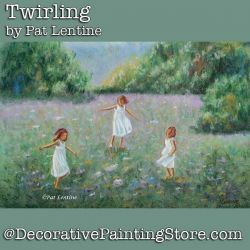 Little girl in overalls picking flowers in a field.